Real Estate Auctions generate a list of ready, pre-qualified buyers. Real Estate Auctions offer clients and customers new selling and purchasing options. Real Estate Auctions increase revenue and market share. Real Estate Auctions help develop your own market niche which you can use for future marketing purposes. Sale by real estate auction brings the assurance that a property will be sold at true market value. Properties are sold within a relatively short period of time. Auction marketing techniques expose properties to many potential purchasers. Real Estate Auctions bring people in to look at all your listings. Real Estate Auctions result in referrals and return business. Competitive bidding means higher commissions for you. Selling at auction helps determine the true market value of a property while establishing a quick turn around time for the seller. You have a deadline and buyers are prompted to make the purchase and bid against each other on the date of the auction. In addition, you have a company who aggressively markets your property increasing the interest and visibility and ultimately the dollar amount you’ll receive. View our Top Ten Benefits of a Real Estate Auction for the Seller. Our buyers come prepared to purchase at our real estate auctions. Quick asset realignment reduces the long-term carrying costs (including taxes and maintenance). 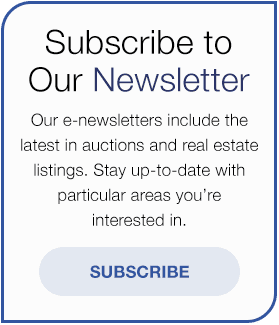 Auction marketing exposes your property to a large number of pre-qualified prospects. Real Estate Auctions accelerate the sale of your property as there is a deadline. Our sale’s dynamic feel and energy create great competition amongst buyers. Auction prices can exceed the price of a negotiated sale. Most potential buyers are already pre-qualified for financing before the auction begins. Real Estate Auctions are date-specific, so the seller knows exactly when the property will sell. Our sales process eliminates numerous, unscheduled showings. We usually allow two dates and times to preview the property before the auction. Other than that, individuals are allowed to drive by as they please. Our auction method takes the seller out of the drowned-out negotiation process as the buyers deal directly with us, Higgenbotham Auctioneers. Higgenbotham Real Estate Auctions ensure an aggressive marketing program in order to increase the interest and visibility of the seller’s property. Buying at auction is a smart move for anyone who is looking to buy property. Here at Higgenbotham Auctioneers, we are committed to selling at our Real Estate Auctions and let the buyers determine the price. We don’t haggle and negotiate for long periods of time, what you want to pay is what the property is sold for. 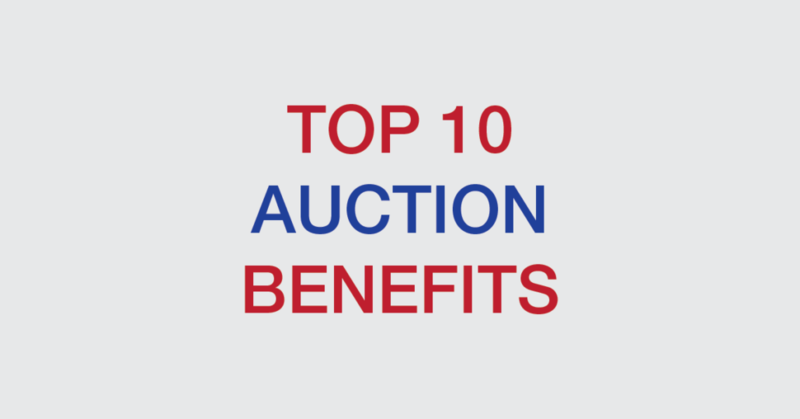 View our Top Ten Benefits of a Real Estate Auction for the Buyer. Real Estate Auctions are where smart investments are made as properties are usually purchased at fair market value through competitive bidding. The buyer knows the seller is committed to selling as there is a set deadline. Real Estate Auctions allow the buyer to see many offerings in the same place at the same time during a multi-property sale. Buyers determine the purchase price and there is “no-haggling” from real estate agents trying to earn top dollar. 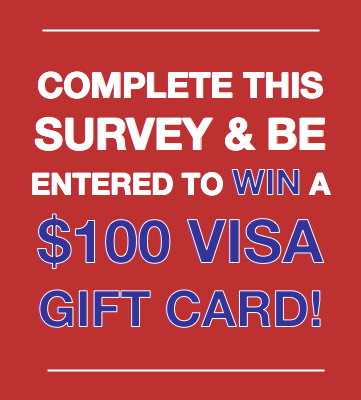 You will eliminate long negotiation periods and make the purchase easier on yourself. Real Estate Auctions reduce time to purchase property as there is no back and forth haggling from both ends. In a Real Estate Auction scenario the purchasing, preview, and closing dates are known beforehand. In our sales, buyers know they are competing fairly on the same terms as all of the other buyers. Closing is simplified as all information is disclosed in our Due Diligence Packets at the auction. Real Estate auctions are FUN! Seriously, if you’ve never been you need to check one out.